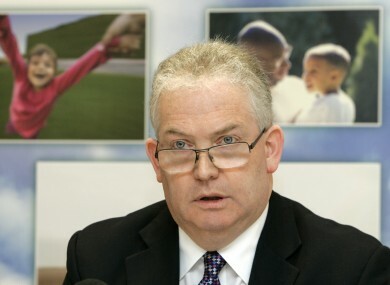 THE DIRECTOR GENERAL of the HSE is insisting parents of children with life-long conditions or illnesses were not asked to prove whether they had that condition. It follows the long-running controversy surrounding the review of discretionary medical cards, which was halted entirely by the Government last week. It was announced yesterday that an expert panel is being appointed to examine how medical need should be taken into account when the cards are being granted. Speaking on RTÉ’s Morning Ireland today, Tony O’Brien said there had been individual incidents “where we have already acknowledged we got it wrong” and that the HSE had already apologised to the people in question. I think that’s a feature of the general climate of fear that has existed. I am saying questions were asked that were not those questions, but which may have been interpreted as that. “We are obliged, for example, to ensure that we take full account of any costs that a family may have that arise from a change in their circumstances — perhaps an exacerbation of an illness or a secondary illness. O’Brien said he accepted misunderstandings had taken place and that people would be given an opportunity “to review the tapes of those recordings to satisfy themselves”. “We certainly would never wish to cause that kind of concern,” O’Brien said. On the subject of the options facing people who had already lost their medical card, O’Brien said it would be difficult for the HSE to reissue them “because individuals who have already lost their medical cards had been assessed and found not to qualify”. Minister Reilly and Minister White are working on arrangements that will enable us or authorise us to reissue those medical cards and government has committed to examining that very quickly. He said the process was expected to be completed in “a matter of weeks”. The HSE announced yesterday that an expert panel of 23 medical professionals will examine which medical conditions should automatically qualify a person for a medical card. A public consultation process also gets under way today. O’Brien said the panel was facing into “a challenging task”. Email “HSE boss: We never asked parents to prove children still had lifelong conditions”. Feedback on “HSE boss: We never asked parents to prove children still had lifelong conditions”.